Fears & Hopes Protocol (Buying a book suggested). Shared with class. An example of how to collect participant's hopes. 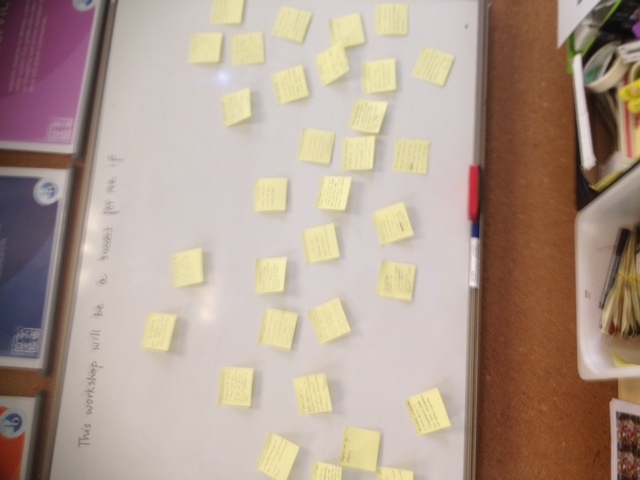 I will try to arrange my re-workshop survey in such a maker as to know before planning. Piece of string on the table (rope) and put post-its of pro/con becoming a workshop leader. JUST CAN'T ANSWER A QUESTION? !